Another very robust hybrid, this fern is a cross between Dryopteris affinis and Dryopteris filix-mas, with parents like that this had to be tough! 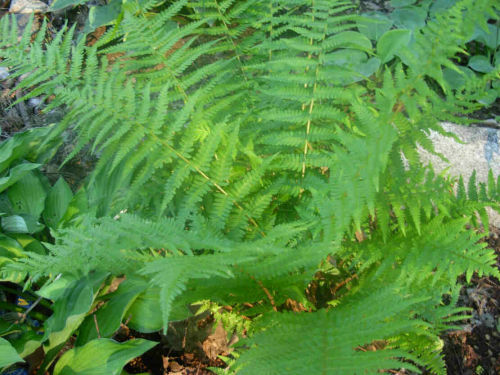 The ferns are often described as massive and these supply interest all year, the new fronds in spring are an amazing sight, with large rusty scaled large croziers. It has a cosmopolitan spread, found in North America, Asia and Europe in moist cool woodlands. Very easy to grow in moist humus rich soil in partial or full shade, it is also sun tolerant if soil is moist, so grows almost anywhere!